A fantastic show for CR to pick up. If you thought Another was the best horror anime had to offer (HaHaHAHAHA), you are in for a ride. Horror enthusiasts who appreciate atmosphere, tone, and general Japanese horror creepiness intertwined with suspense and some crazy good art direction will fall in love with this show. It's also worth mentioning that the show originates from the last several episodes of another anime series, Ayakashi: Japanese Classic Horror. 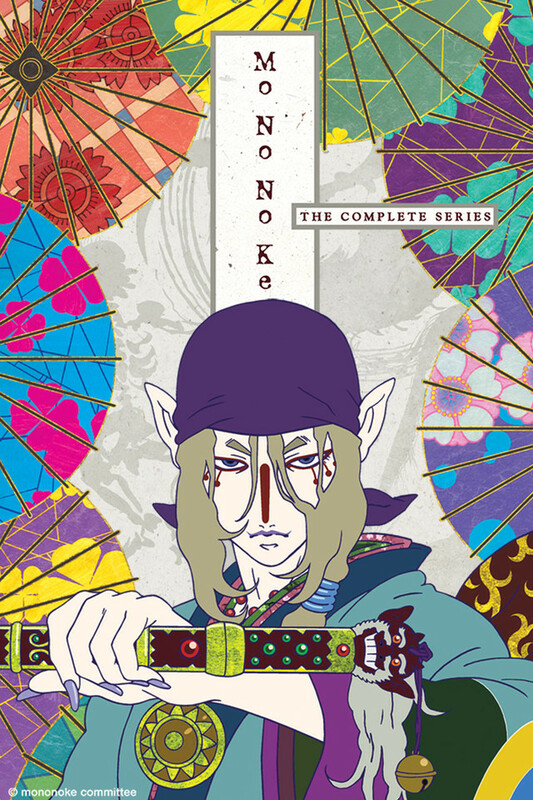 It's worth seeing because the last arc of Mononoke (Bakeneko/Goblin Cat) is a sort of re-telling of the story in A:JCH, so I'd recommend you find and watch it beforehand. I will have to say up front I am not a fan of this style of animation it dose not add to or enhance the over all story line and some times distracts from it. Frankly I would not put this in the horror genre it is more about tragedy and nothing really scarey about it. The story line is sometimes disjointed and is overly long not in the amount of information but because they slow it down to show off the animation style, episodes 1-2 could have easily be 1 and 3-5 could have been handled in 2. As stated in the review title in their effort to be different they have lost what could have been a very good story. I'm so excited to see this here on Crunchyroll, even though I just bought the whole series on DVD a week ago. The art style is unique and the storytelling is A+. I've watched it all the way through and haven't gotten tired of it yet. I 100% recommend this if you like a little mystery and horror (but not the kind with jump scares, it's not Yamishibai). To start off I would say this series isn't for the type of anime viewer who just enjoys fights and fan service. Mononoke has an extremely unique art style and animation style.The show is comprised of short stories some being only one episode to some being about 3 episodes. For having such bright colors the short stories tend to be on the darker side of things and I wouldn't recommend this series if you are looking for a feel good lighthearted anime even though it does have some funny moments. It focuses heavily on Japanese folklore and Japans culture and traditions. I was skeptical going in and wasn't sure how I would feel. I watch a lot of anime and never have even heard of this one. Watched the first episode and thought " this is so weird" then all of a sudden it was the credits. I thought it was a short only to check and 23 minutes had gone by. So I figured I would watch another and then another became another and another. I found this series to be amazing and give it a 5 out of 5. Its rare that I will watch a series more than once. It has to be really good or a classic for me to do that which is why I give it a 5. Also I love the art style and colors in this series. Also the main character is just too cool. I think everyone should check this series out but at the same time, I don't think this series is for everyone. Thank you CR for putting this on here!